The Dominicans’ Pontifical University of St. Thomas Aquinas, more popularly known as “the Angelicum” in honor of the “Angelic Doctor of the Church,” is the only pontifical university in Rome that offers a full first-cycle, three-year program (similar to a bachelor’s degree program) in English—but some college education before going to Rome is usually necessary. Students learn Italian during this first cycle and usually continue toward a Vatican-approved licentiate degree (after about five years) or a doctoral degree (after about eight years and a dissertation). There is also an English-language graduate-level program in ecumenism and interreligious dialogue. The sponsoring Order of Preachers is known for its orthodoxy and expertise in Thomistic philosophy and theology. Most of the faculty are Dominican priests, and about 80 priests live on campus. The faculty includes Fr. Wojciech Giertych, O.P., Theologian of the Papal Household, and Saint John Paul II famously was a student of the Angelicum. The chancellor (Gran Cancelliere) is Fr. Bruno Cadoré, O.P., a French bioethicist and Master of the Order of Preachers since 2010. Fr. Miroslav Konstanc Adam, O.P., became rector (Rector Magnificus) of the Angelicum in May 2012, after serving as dean of the faculty of canon law. 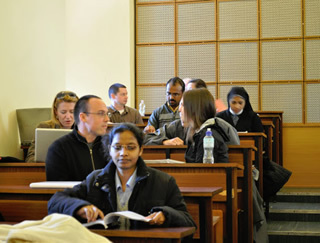 The Angelicum has a broadly international student body, with about 1,010 students from 95 countries— especially the United States, India, Italy, and Poland. In 2013-14, 30 percent of the students were from North America. Depending on the program, roughly 20 to 25 percent of the students are lay persons. The tuition price for the STB degree is a bargain relative to American colleges: about €2,000 for each year. There are additional fees that may apply. Food and housing are relatively expensive and arranged independently by the student, although the university’s student affairs office will make recommendations for housing. The Angelicum does not offer an integrated liberal arts curriculum; from the outset, students specialize in particular disciplines. American students will often study at least a couple of years at a college in the United States, and such prior study may be necessary: admission to the first-cycle program requires two years of prior study in philosophy. The Angelicum’s philosophy department offers an intensive one-year program that satisfies this requirement, but only students who have at least three years of a college education can take advantage of the one-year course. Students who have earned a bachelor’s degree in the U.S. and want to pursue a graduate-level degree at the Angelicum will often need to take more philosophy or theology courses to obtain a pontifical bachelor’s degree. The philosophy department—and to some extent the entire faculty—concentrates on the writings of Thomas Aquinas and Thomistic philosophers. Students wanting to study a greater variety of philosophical approaches will often complete the first cycle and then transfer elsewhere for advanced studies. To earn the bachelor’s degree, philosophy students complete three years of coursework and must demonstrate mastery of Latin. The courses consider basic philosophical themes—man, God and the world—as well as the history of philosophy, with exposure to philosophers’ original works. The program also includes courses in psychology and logic. Students attend class for about 15 to 18 hours per week, not including supplemental studies in Latin for students who need it. First-cycle theology students take introductory courses in fundamental theology, moral theology, spirituality, and even Church archaeology and history. A series of courses study the mystery of salvation according to St. Thomas Aquinas’ Summa Theologiae. Specialized courses focus on grace, virtue and contemporary social justice issues. Students begin to learn New Testament Greek and biblical Hebrew. The Angelicum’s other departments are canon law and social sciences. The latter is focused primarily on development in poorer countries, with mostly East European students and some Africans and Americans. 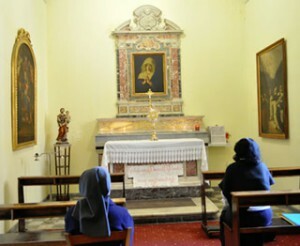 Although the former monastery that houses the Angelicum is quaint, the facilities are older and less well-equipped than American college students are used to. Also, Italian tariffs make books published outside the country extremely expensive, and so students are not permitted to borrow books from the library. Instead, they are encouraged to read in the library, or pages can be photocopied. Many of the books are in Italian and other languages; few are in English. A consortium allows students to access books at all the pontifical universities in Rome. The school year is somewhat later than the standard American year. Classes begin in mid-October and run through the end of May. With so many priests around, it is not surprising that the Angelicum offers many opportunities for Mass, regular confessions, and spiritual counseling. But because students do not live on the campus, the most popular Masses are at mid-day during the week. Most students attend daily and Sunday Mass elsewhere. The University also offers little by way of student activities and culture. There is no residential campus, and only the Dominicans live on campus. Most lay students rent or lease apartments in the historical district of Rome; the quaint Trastevere district is increasingly popular among University students for housing and nightlife. Some students prefer the beach towns about an hour away, which offer low-cost rental housing during the off-season. The University’s Office of Student Affairs helps students with information on affordable and available housing. The Angelicum lies just on the eastern edge of the historic district of Rome, a safe area of the city with restaurants and shops nearby. The campus is easily accessible by subway and buses. Leonardo da Vinci-Fiumicino Airport is about an hour’s drive from the Angelicum. The appeal of studying in Rome is undeniable—at the Dominicans’ pontifical university, no less. The Angelicum offers an impressive and rigorous English-language curriculum for students who are prepared to specialize in philosophy or theology, and to enjoy living independently in one of Europe’s most magnificent cities. And the price is right. American students will need to carefully consider the substantial courses required before beginning the first-cycle program, the lack of a residential campus, and the absence of a liberal arts core outside of theology and philosophy. But if study at the Angelicum seems appropriate, students will find a faithful Catholic program awaiting them in the heart of the Eternal City. We are accredited by the Holy See. Are members of your teaching faculty expected, as a condition of employment, to respect Catholic teaching and comply with Catholic morality in their publications and statements both on and off campus? There are Professors who teach internationally but just a few are named below. Rozważania Pawłowe [Pauline Reflections],Warszawa: Wydawnictwo Księży Marianów MIC, 2008, p. 114. Bóg źródłem prawa. Ewangelia, Izrael, Natura, Islam [God as the Origin of Law. The Gospel, Israel, Nature, Islam], Kraków: Wydawnictwo M, 2008, p. 314. Den Wein der Freude Trinken: Wege Dominikanischer Spiritualität, Leipzig: St Benno-Verlag, 2007. Młode wino dominikańskiejduchowości, trans., Pelłechata, O.P., Poznań: Wydawnictwo W drodze, 2007. “I Loved Jesus in the Night”:Teresa of Calcutta, A Secret Revealed, Paraclete Press (USA) and Darton Longman and Todd (England), 2008. Matka Teresa: KochałamJezusa w ciemnościach, WydawnictwoW drodze (Poland), 2010. Door into the Sacred: A Meditation on the Hail Mary, Darton, Longman and Todd (England), Novalis (Canada), 2010. The same book was published in the United States with a different title: The Hail Mary: On the Threshold of Grace, Liguori Press, 2010. Praying with Confidence: Aquinas on the Lord’s Prayer, Continuum Press (New York and London), 2010. Editor in chief of the Deutsche Thomas-Ausgabe (Latin-German commented edition of the Summa theologiæ and the Quellen und Forschungen zur Geschichte des Dominikanerordens. Member of the editorial board of Archa verbi, member of the International Society for Theological Mediævistics, Meister Eckhart Gesellschaft, and Société internationale pour l’étude de la philosophie médiévale. Chinese translation of the book Managing As If Faith Mattered, UNDP, 2001 (the book has already been translated into Spanish, Russian and Hungarian), Taipei, 2007. Helen Alford and Francesco Compagnoni (eds) Fondare la Responsabilità Socialed’Impresa: contributi dalle scienze umane e dal pensiero sociale cristiano, Rome, Città Nuova, 2008. Charles Clark and Helen Alford, Rich and Poor, CTS Publication, London, 2010. Do all faculty in the theological disciplines have a mandatum (or the “cannonical mission”for ecclesiastical faculties) approved by the appropriate Church authority, as required by Canon Law? Does your institution require that all theology courses be taught in a manner faithful to Scripture,Tradition, and the Church’s Magisterium, and also to the principles and methods proper to Catholic theology? All undergraduate courses are core curriculum. All our courses teach authentic Catholic doctrine and practice. Theology/Canon Law, Philosophy, Social Science. 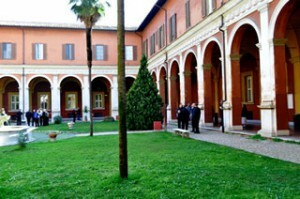 Conferences, symposia at the university or other ecclesiastical institutions in Rome. The Faculty ofT heology organizes conferences at the Angelicum on topics such as The New Evangelization. The Faculty of Social Sciences organizes conferences such as Christian leadership in former Communist Countries, The Christians in the Middle East, The Role of the Embassies to the Holy See and the Ukraine. Does your institution require cooperation among faculty in different disciplines in teaching,research and other academic activities? Faculties of Canon Law and Philosophy teach in a College in the Diocese of Los Angeles and share a joint program with the Gregoriana (Rome). 20 at college, however, most of our undergraduate students live in residences where Mass is offered daily and attend the Mass there. Mon-Fri Mass 7:20 a.m. (Italian-chant); 8:20a.m. (English-chant, contemporary); 12:20 p.m. (Italian-chant). Are you aware of any graduates from your institution (not including seminary students, if any) who are ordained to the priesthood or have entered religious life? If yes, approximately how many graduates? Association of Students of the Pontifical University of St. Thomas (ASPUST) looks after students’ interests. All student activities need the explicit approval of the academic authorities in accordance with an institution directly under the Holy See. Activities contrary to Catholic teaching are simply prohibited. As a Pontifical University we are instead governed by the norms of the Apostolic Constitution Sapientia Christiana (April 15, 1979). The Pontifical University of St. Thomas Aquinas, commonly known as the Angelicum, is the Dominican university in Rome and one of the major pontifical universities of the City. Staffed and administered by members of the Order of Preachers, it serves as a focus for the Dominican theological and philosophical tradition among the Roman pontifical universities. All invited speakers are approved by the Academic Authorities or Faculty Council in keeping with an institution directly under the Holy See. The Holy See also has a direct say in the matter. 29% women, 71% men; 95% Catholic; 24% lay, 27% diocesan clerics, 49% religious; 30% North America, 25% Europe, 21% Asia, 12% Africa, 11% Latin America, 1% Oceania. Yes, all board members are Dominican.